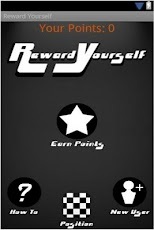 Reward Yourself, a free game for Android, gives players a chance to win real prizes each week for completing offers. Have some time to kill and want a shot at a free prize? Complete some offers and see if you can hold the top slot on the leaderboard each week. It's simple, and the leaderboards are powered by Swarm. We'll take it!